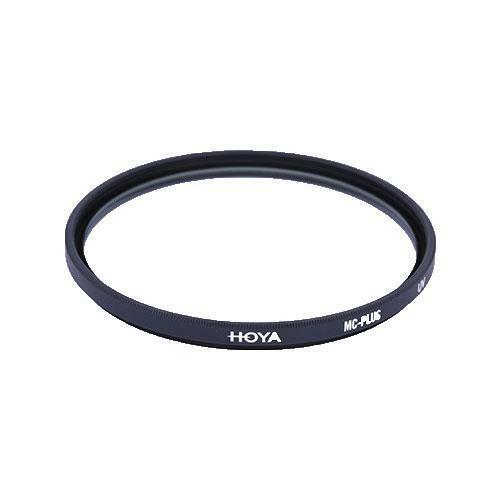 Hoya MC-Plus UV filters not only absorb ultraviolet rays that often make outdoor photographs hay and indistinct, but they also offer excellent protection for your lens. Leaving this filter on your lens all the time can protect the front element from scratches, dust and moisture. The Hoya MC-Plus filter is Multi coated with 10 layers in total to reduce ghosting and flare, giving excellent light transmittance of over 98%. The coatings also include a Water Repellent layer which makes water droplets run straight off the filter and creates a surface that is very easy to clean.